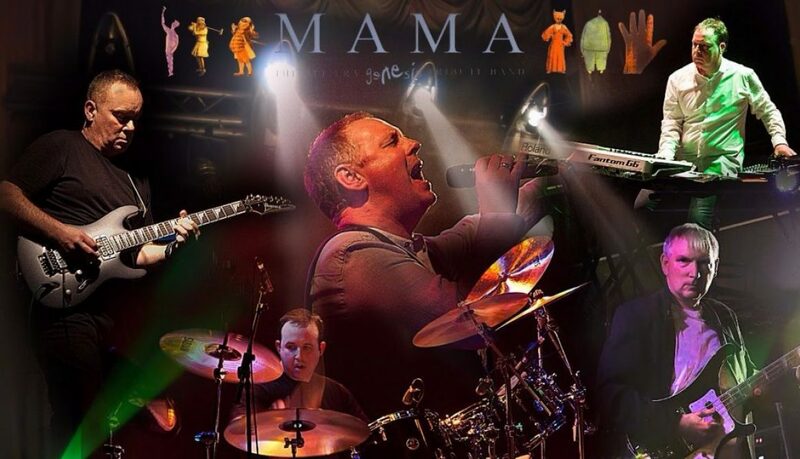 We interview Mama singer John Wilkinson, just because it’s the easiest way to get all the latest news about what’s happening with the band! Before we start though, there’s just a quick mention for our next show which is at The Cavern in Liverpool this Thursday. That’s Thursday 8th February 2018! 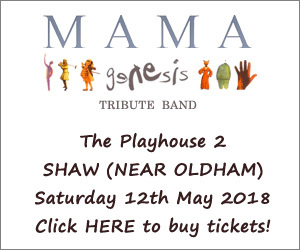 If you want tickets, head over to The Cavern website for them. 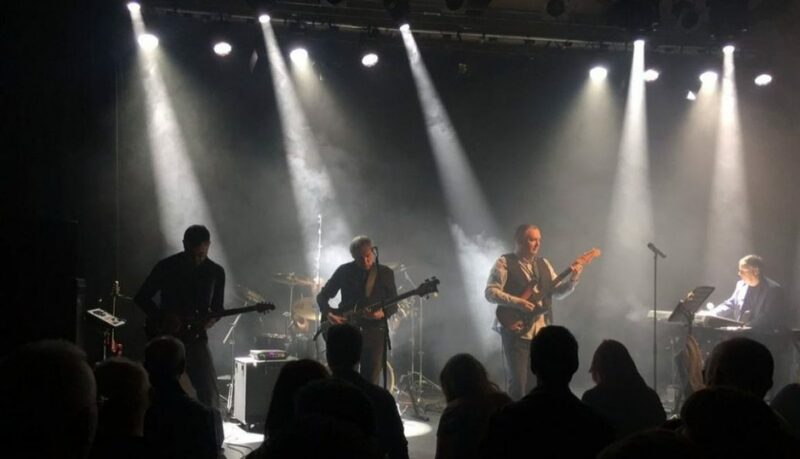 MW: We are pleased to be able to speak again with John W about the past year and the trials and tribulations that beset the band in 2017, plus their plans for 2018. JW: Okay thanks for asking. After last year it is good to leave 2017 behind to be honest. MW: Not the best year for the band then? JW: To be fair, it started out great. But no. We had both James and Darren leave for the same reasons; they wanted to spend more time with their families which means we have to get new musicians in, which takes time for them to bed in and feel comfortable. Then we had John C‘s son Dan who was seriously injured in Australia and of course the band was put on hold for a couple of months. We were lucky with Tim but replacing Darren has proven to be trickier. Mark Comish was going to step in and help until a permanent replacement could be found but sadly that didn’t happen. No ones fault at all but we had to cancel the Dutch shows again. MW: Yes what happened there? JW: The promoter was superb and we will be trying to get back there in 2019 but the fact is I asked everyone I could think of to step in. In reality, it was very short notice. We couldn’t find anyone. MW: Do you have a replacement guitarist now? JW: Yes. Jonathan Vatilkotis from Vesbim Floyd and Pink Floydian has joined full time. He is a huge Genesis fan as well as a Floyd fan and he approached us as soon as he heard we were on the lookout for a guitarist. Great player and just as important, a great bloke too. He loves all era Genesis but his favourite album is A Trick Of The Tail. MW: So we can look forward to more songs from that album then? JW: (Laughs) Yes well, we need to re-vamp the setlist anyways as some of these songs we’ve been playing since we started. Some songs need a rest and we will probably be dropping Duke’s Travels and Dukes End for now as well as In The Cage Medley. MW: Whoa! In The Cage? Isn’t that one of the highlights of the show? JW: I know but we have not changed it since we started. We are planning to go even further back in time for replacements however, so the fans will be happy I am sure. MW: So when can we expect to hear these new songs then? JW: Well we’re hoping to do two new songs at The Cavern on the 8th Feb, but it all depends on rehearsals really. I can honestly say that the songs we have in mind will surprise most of the people who have followed us since the beginning. MW: Anything else to report? We’re hungry for news! JW: Well we do have a project on the go which is not really Mama, but will utilise all the Mama musicians. Can’t say too much about this now but it does involve recording and playing an album live. MW: Is that The Swan Chorus? JW: No that is a separate thing that just Dave and I are involved in and that album has been recorded and we’re just looking for a record company to release it now. This is a totally different project that we have been asked to do. Honestly I cannot say too much but hopefully it will all be clear very soon. Dave is also in a band called Plenty with Tim Bowness who readers may have heard of and their album is out in February I understand. MW: Have you heard it? JW: No, but knowing the quality of Tim’s writing and Dave’s playing it will be great. I have blagged a copy off Dave when it’s released (laughs). 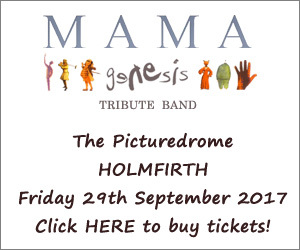 MW: Maybe you could persuade Tim Bowness to give us a signed copy, so we can run a competition on the Mama website and give it away? MW: What about a JW solo album? JW: (Laughs) Never really thought about that. I can make a nice noise on keys and also play a bit of guitar. I do have the equipment to record. I just don’t have the songs… Or the time (laughs). Dave is recording an album and I have agreed to sing on a few songs on that. MW: So no “Face Value” in the works? JW: More like “Farce Value” at the moment… No plans to do so yet. Too busy with home and being in three musical projects already. MW: Still see James and Darren? JW: Oh yes we’re still in contact with the guys and indeed if we ever need a stand in, they have said they will do it. In fact, I think James is coming to see us at The Cavern on Thursday and Darren is covering some of the guitar duties at that show too, before we can get Jon up to speed. Two guitarists on stage? Could work… (laughs) Hopefully we will finally get a double drums show with Tim and James going later this year. MW: Well thanks John and I wish Mama the best for 2018. Let’s hope it’s a better year than 2017. JW: Cheers and a big thanks to the Mama fans who have stuck by us during these difficult few months. Thanks everyone!